I like my life. I tell a lie, I love my life. Every now and then some new and awesome comes along to remind me of that fact. 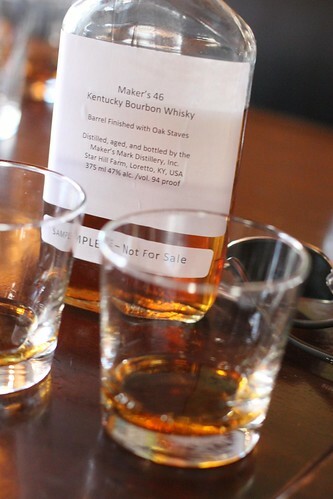 Recently, I got to try the new Maker’s Mark 46 which will be released later on this year. 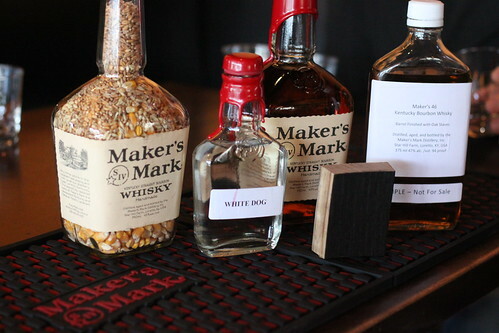 It’s a new expression for Maker’s Mark. 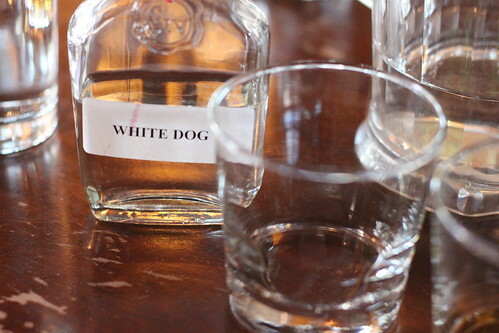 Starting out life just like normal Maker’s Mark as a really tasty white dog –which I would be more than happy to buy, I mean, Maker’s white dog is effin’ delicious, please bottle it, and sell it to us. It goes through the normal aging process in new American Oak barrels, then at the end is decanted from the barrel and held while staves of a different oak with a nice dark char to them are affixed to the insides of the barrel. These staves are what give this whiskey its name. They are apparently number 46 in the catalogue of oak that Maker’s cooper has in his stash. The whiskey is then poured back into the barrel and allowed to further age for several more months imparting a different layer of flavour and aroma to the bourbon. I really enjoyed what this brings to the table. The result is less sweet, but still smooth. There’s a bit of spiciness that is a really nice counterpoint to the sweetness of bourbon, and nose is more toasted sugar than the vanilla and caramel notes that I’ve come to expect from Maker’s. I think that this is going to be a winner and will make for some really great drinks as well as sipping going forward. I can’t wait until I can actually buy the stuff. Everybody should come take the free Maker’s Mark Distillery and Kentucky Cooperage (bourbon barrel-making factory) tours. MM is located just outside downtown Lebanon, Ky. and the cooperage is right on Main Street, along with The Oak Barrel restaurant – a great Bourbon Country experience! You can enter the Heart of Kentucky Bourbon & Barrels Getaway giveaway at http://www.VisitLebanonKy.com. The drawing is April 2. No purchase necessary.